Encouraging your child to eat a nutritious, balanced diet is essential for optimum health. Ensuring your child gets the right minerals and vitamins in their diet helps a healthy mind and body. Your child is more likely to have increased energy as well as be more motivated in their learning. Furthermore, educating your child on healthy eating early on will ensure they make healthier choices as he/she becomes an adult. Including nutritious snacks is essential to help keep the energy levels of your child consistent and a satisfied appetite. Here are some sweet and savoury options that you can give your child. • Raw vegetables (sugar snap peas, peppers, carrots and broccoli) with homemade guacamole. • Unsweetened oatcakes with unsweetened nut butter or hummus. • Natural yoghurt with papaya or mango. • Fruit slices with unsweetened nut butter. • Grainy Food – Fruit bread, flatbread, a multigrain roll or whole grain. • Do not forget to give them plenty of water. Excess Foods that are high in sugar and fat like soft drinks, high sugar muesli bars, lollies and chips will potentially hamper your child’s development and should not be a regular part of the lunch box. Generally, all foods contain different minerals, vitamins and nutrients. To get all the nutrients needed, it’s important for your child to have a varied diet that contains a lot of different foods. 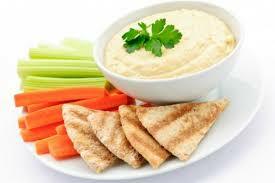 You should aim for 3 balanced meals per day and up to 2 healthy snacks. Also, use different varieties of vegetables and different protein sources in every meal. Ideally a diet should be colourful & this diversity tends to have a higher proportion of anti-oxidants ! If your child is a picky eater it can be difficult to keep their meals nutritious, healthy and balanced. One thing to remember is that it does not last forever! Here are some tips that will help you. If your child is a fussy eater get them involved in the selection as well as the preparation of food process. When your child is involved in food preparation they are more likely to want to try different types of foods. Ask your child to choose what they would like to be included in their lunchbox and let them help when preparing it. Reward them whenever they try anything new; it can encourage them to be more adventurous. For instance, you can create a food reward chart, whereby you give them a gold star each time they decide to try a new food. At times it’s the amount of food you are giving your child that can be daunting. 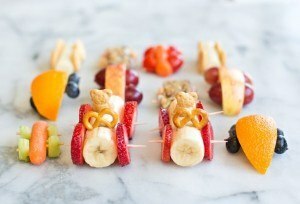 Children like feeling the food, thus preparing hands-on snacks may encourage them more. 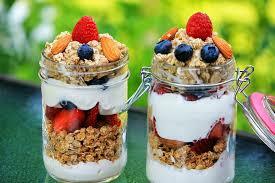 Try downsizing the main meal and increasing the number of snacks that they eat during the day. It’s common for children to stick to the food they know: if your child likes certain types of food it’s likely they’ll ask for these every day. You shouldn’t eliminate these completely; instead try incorporating them with other types of foods in their meal. The number of serves that are recommended for children depends on their activity level and age, but approximately two serves of fruits and five serves of vegetables is typically a good goal for children who are over eight years old. No need to be exactly accurate with the servings, but it’s good to always know what you are aiming for. If you need an experienced Chiropractor, visit Chatfield Chiropractic. We help to give your child the best start in their life. We offer safe and care for numerous common paediatric health problems that affect children of all ages.